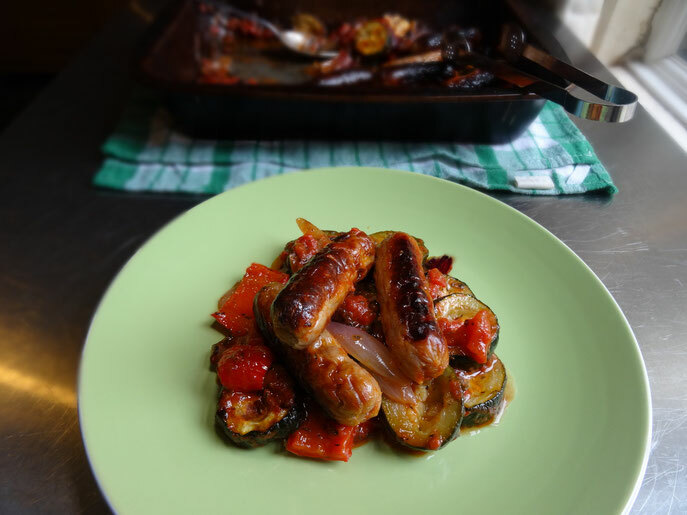 This is a great week night dish for all the family, & easy too!! 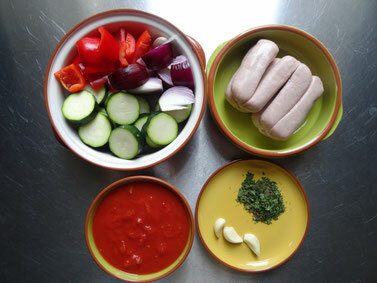 Place the onions, peppers & courgettes in a baking dish in a single layer. Drizzle over about 2 tbsp olive oil & season with salt & pepper. 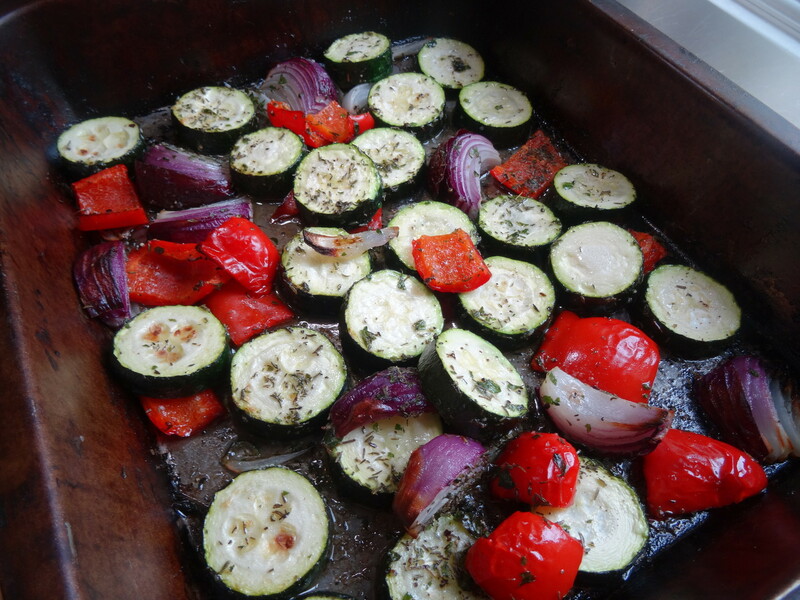 Place in the oven for 20 minutes. Meanwhile brown the sausages either in a frying pan or under the grill then set aside. 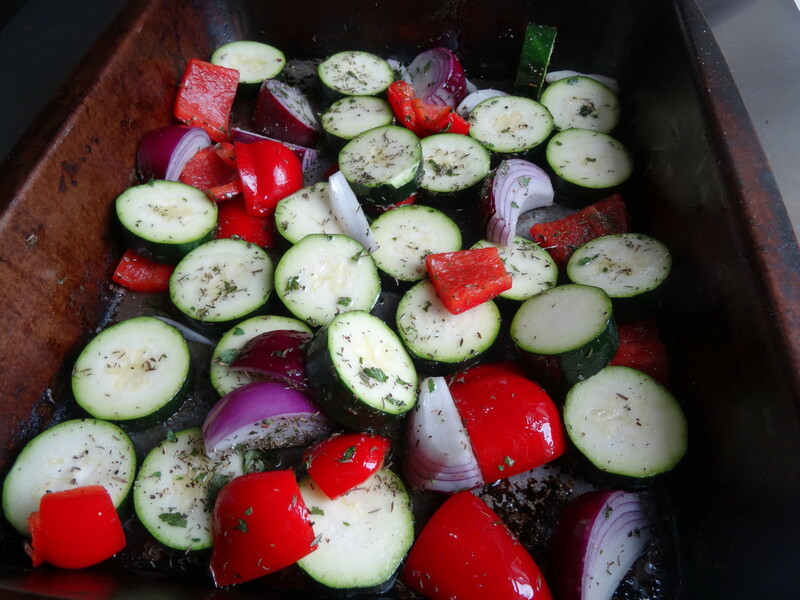 Remove the veg from the oven & stir in the tomatoes & garlic. 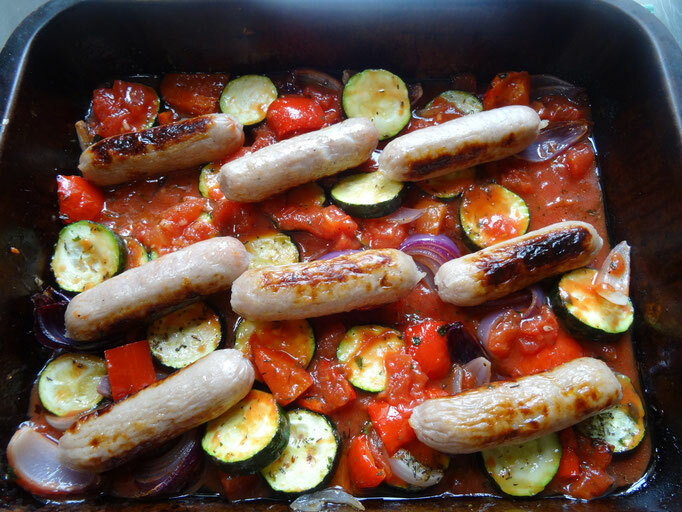 Place the sausages on top & return the dish to the oven for another 20 minutes until the veg is tender & the sausages are cooked through. Great served with crusty bread.